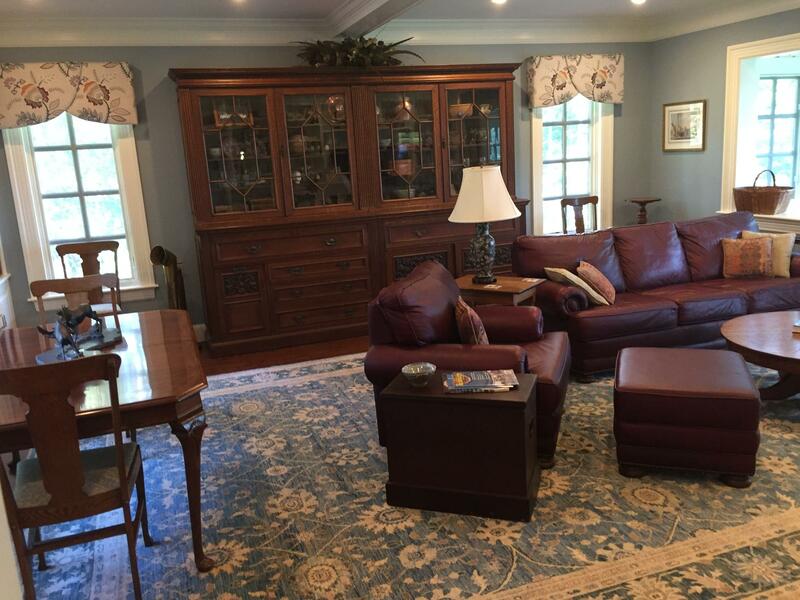 Over the summer I was introduced to a new project involving many rooms. 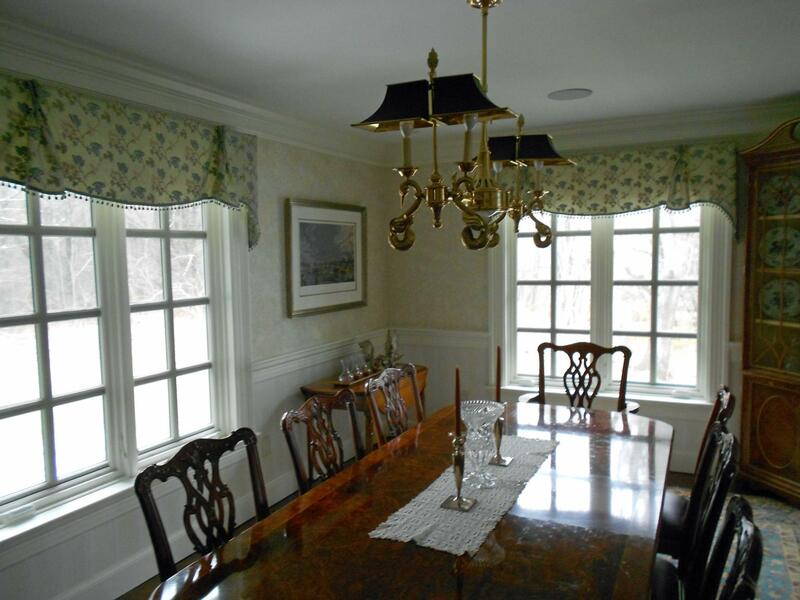 I have designed ideas and worked with a local decorator to create window treatments for this wonderful client. 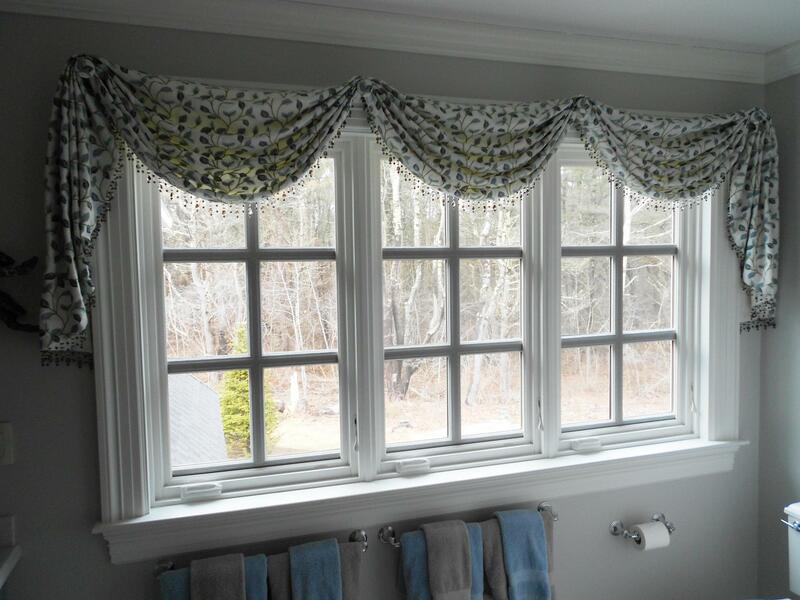 It is a long process to get all the elements together and time to create these window treatments has been a challenge. 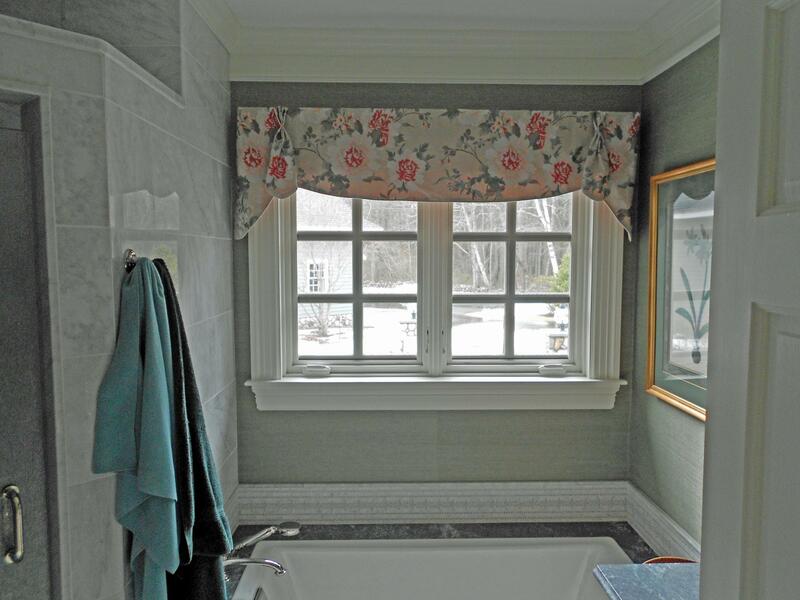 Finding the correct fabric and designing the window treatments is no easy task. Running into Hardware problems and design challenges has been ongoing. The busy season from September to December has also played a huge role in the creation of these curtains. The first of the year is here and have buttoned up most of my deliveries except for this home. We are now focused more on the continuation of this project and hope to get some more pictures of this beautiful home as each room is finished. There are a few pictures of designs and a finished project in the Library. I will continue to post pictures for this project and look forward to completing each room as designed.